Today, there are a lot of pitch competitions in the startup community, pitch events and other avenues for pitching in front of an audience. The first pitch competitions were created because startup founders wanted to practice their pitches before actually talking to investors. Founders often pitch for funding in either live presentations with potential investors or in front of a group of potential investors, like an angel group or other vetted investor audience. This is why pitch competitions started cropping up in the first place. To give an opportunity to practice for those pitches. And as pitch events have dipped into entertainment events, overtime they have gotten more flashy, less focused on investors, and in some cases kind of insane. There are a lot of weird pitch competitions out there where people have to do some crazy things while they pitch: I even saw one where the founder had to pitch while eating a habanero pepper! There are many different kinds of pitch competitions. In your local pitch community you’ve likely seen that there are different levels of pitch competitions with different audiences and different aims. You have pitch competitions that have a “winner”, where there is a panel of judges who listen to your pitch, ask some clarifying questions after your presentation, and then they choose who the winner is. The winner may even get a financial prize! Before I go through my thoughts on how to win your pitch competition, I’d like to share some other kinds of pitch competitions out there that are NOT focused on having a winner, but instead focused on giving you practice, or getting you in front of an audience to get buzz for your company. There are some really good ones. I am a big fan of One Million Cups. They have a braid audience at their events. 1 Million Cups is a national organization run by the Kauffman Foundation. I have volunteered for them before. They do a really good job of giving people an opportunity at really early stages, to get in front of people, to start telling people their story and getting feedback. The focus of these is to get actual feedback, not about getting in front of an investor or winning a competition; look out for ones like this too because they are good to be a part of as well. First, you want to think about your audience. This is true for any pitch, whether you’re in a pitch competition or not, you want to think about who your audience is and what they care about. You do this because you want to speak to them, be direct with them and to answer the questions they have before they have them or better et, prevent them from ever having them. How do we know the audience and what they care about in a pitch competition? Read the notes on the pitch competition website. A lot of people do not remember to do this. Make sure you know how long you are speaking for, what restrictions you have. The site might give you guidance for what they are looking for, what kinds of things would stand out to the judges when selecting a pitch competition winner. Each Pitch Competition will have specific requirements.  The pitch event might be looking for you to have a lot of traction or show the success that you’ve seen so far. On the other side, it might be a totally new concept and they are looking for you to have a unique idea that is like nothing else. Maybe it’s a competition that is focused on diversity and so talking about how your company solves diversity problems in the world would be valuable in persuading the panel of judges. Ensure you take the time to frame your pitch for what the audience or pitch competition is looking for. Second, we want to think about who the specific audience is. If you can find out who the judges actually are for your particular pitch competition, that is going to be really, really helpful. Look them up! Who are they, what kind of companies do they invest in, what is their experience, what is their background? You can use this as fodor for how to go through your pitch and be successful. I’ve seen companies be wildly successful in pitch competitions by referencing the companies of the judges specifically or indirectly. Third, to win the competition – be exciting and be engaging! Most importantly, master the art of storytelling. When you put together your pitch you should focus on telling a story – Your business’ unique and compelling story. The skill of memorable storytelling is valuable whether you are in a competition or in any presentation or pitch. Make sure that you tell a story that gets people engaged. Story gives you a chance to bring the audience along with you. Confidently telling it in an excited, passionate, and upbeat way has more potential to make the emotional connections you need. Great storytelling will be memorable and it will help to lower the audience’s guard to hearing what you have to say. The fourth way to win a pitch competition would be to practice. You get really nervous preparing to pitch your company. Speaking in front of a group of people is naturally one of the most challenging things you’ll do. You really want to practice as much as you can in the real world to get all of your jitters out and to fine tune your pitch so that when you stand up in front of that all-important, potential investor that you do a really good job and are able to be successful. Practice, practice practice; we cannot say it enough. The main outcomes of your dedication to practicing will be the enhanced ability to talk through your presentation more confidently, comfortably and have more of a conversational tone. This brings people along with you, getting them excited and engaged, because you are relaxed and confident instead of being nervous and uptight in your presentation. Make sure you practice to get the nerves out. Another key outcome of practicing is that you will be better able to get out ALL the information you intended to convey. You might miss an entire section of your presentation or forget to close and say, “That’s it, what questions do you have?” This is a terrible way to end your presentation. When you practice you are able to feel more comfortable up there, you’ll remember to hit ALL the high points and you are going to shine. There are many wins for those participating in a pitch competition that go well beyond actually winning the competition. We recommend considering pitch competitions and pitch events that do not have a chosen winner. Prizes like funding that you win create a higher barrier to entry. Instead look at Pitch Competitions more as an opportunity to practice and to get in front of people, and only to maybe find potential investors, potential partners, potential team members. Look at it as a way to get out there, in the world, get some buzz and get some practice. I think you’ll have a lot more fun with it, be a lot less nervous and maybe you’ll win the competition anyways. If you win funding at the end; all the better. Hopefully if you have a competition coming up, you feel confident and ready to win. If you have any other thoughts on ways you would suggest practicing or prepare for a pitch competition; maybe if you have won a pitch competition in the past and you feel like you know exactly what the secret was, we would love to hear about it in the comments below. If you have any questions or ideas for pitch hacks, we would love, love to hear about them. Find the link down below in the description to tell us about what you want to hear about next time.